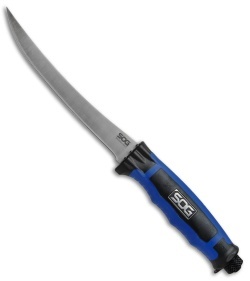 SOG's first fishing knife. This Bladelight features a 6-inch fillet knife accompanied by six intensely bright LED lights (three on each side of the blade). The lights, with an output of 37 lumens, will make fish cleaning or bait cutting in the dying hours of the day so much easier. 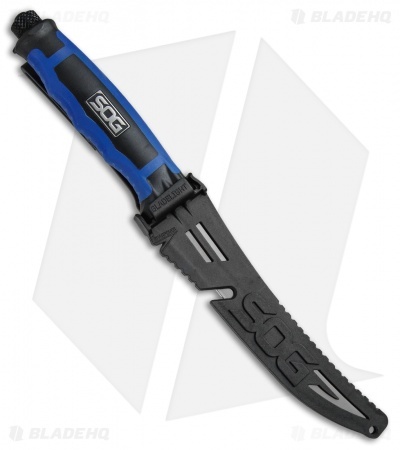 It could help find the way to the boat launch or mooring. 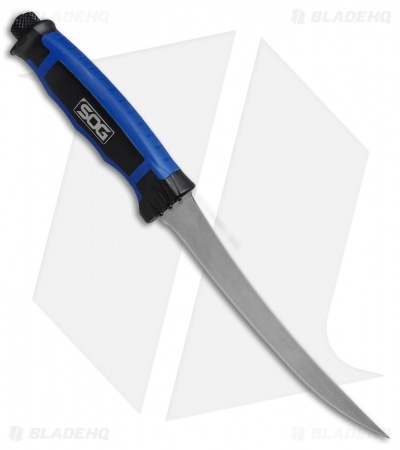 The fixed blade - made of 8CR13MOV stainless steel - is anchored to a glass reinforced nylon handle. Two AAA batteries will provide more than four hours of burntime for the LED lights. That's a lot of fish cleaning.